Small legacy cities, especially in Ohio, are often home to unique and historic downtowns. 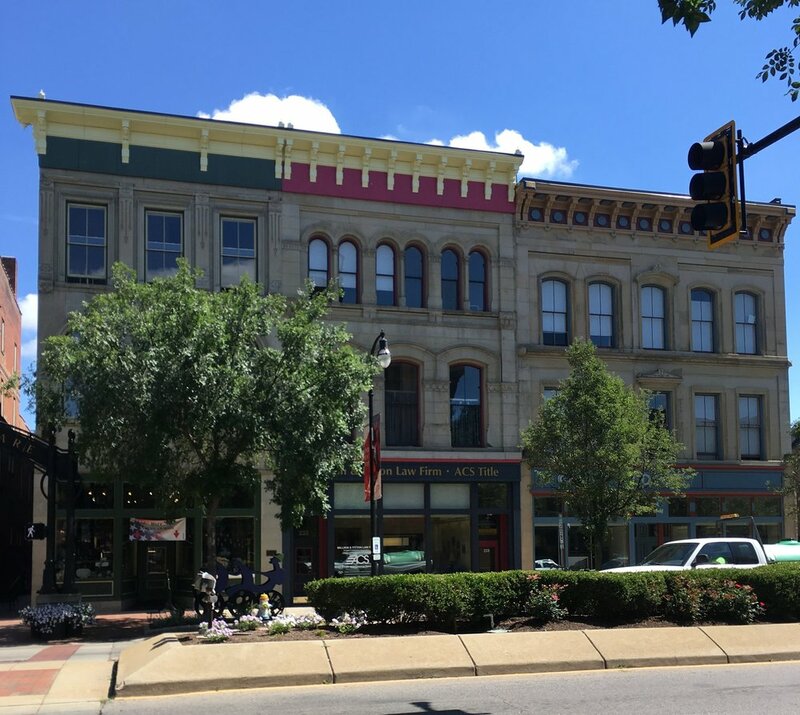 Whether it be the ornate bank building on the corner or the quaint shops along the square, these urban cores are a huge asset to smaller communities. But as most residents can tell you, downtowns are also not the bustling centers of industry and commerce they once were. For decades, as suburban and exurban communities have grown – they have drawn away people and investment from the center city. Research by Greater Ohio Policy Center has suggested that a regional focus on reinvesting in downtown can pay long-term dividends for the city and region as a whole. In weaker market cities, however, this is often much easier said than done. Development in the weak market downtowns of legacy cities is often risky and it can be hard to finance projects through traditional bank loans. This dilemma was true even in a larger city like Cincinnati, until the Cincinnati Center City Development Corporation (3CDC) was founded in 2003 by a collaboration of corporate and city partners. This nonprofit development corporation, initially funded primarily with private capital, sought to facilitate economic development throughout Cincinnati’s urban core through real estate redevelopment. Since 2003, it has received national attention on the role it played in the revitalization of the Over-The-Rhine neighborhood. The transformation of this urban core neighborhood was made possible through heavy investment and subsidy by regional corporate leaders and the Cincinnati taxpayers. Not every city or town is going to have the millions (if not billions) of dollars to replicate the success of Over-The-Rhine in their community – but the model still provides value for smaller communities. Inspired by the success of Cincinnati’s efforts, however, Hamilton, OH saw an opportunity to adapt the 3CDC model to bring urban core revitalization to Downtown Hamilton. Thus, in 2012, the Hamilton CORE Fund was launched through a public-private partnership of the City of Hamilton, the Hamilton Community Foundation, and local lending institutions. In Hamilton, the fund provides financial resources for real estate projects within the city’s urban core. Today, Hamilton’s CORE Fund engages in three different activates. First, it provides gap financing for large development projects undertaken in Hamilton’s urban core by private developers. Second, it purchases key underutilized commercial properties and works to repurpose them to their highest and best use. Third, CORE has begun to acquire historic residential properties and works with potential homeowners to renovate and occupy the homes. The CORE fund has had tremendous success in continuing the strides being made in Hamilton. 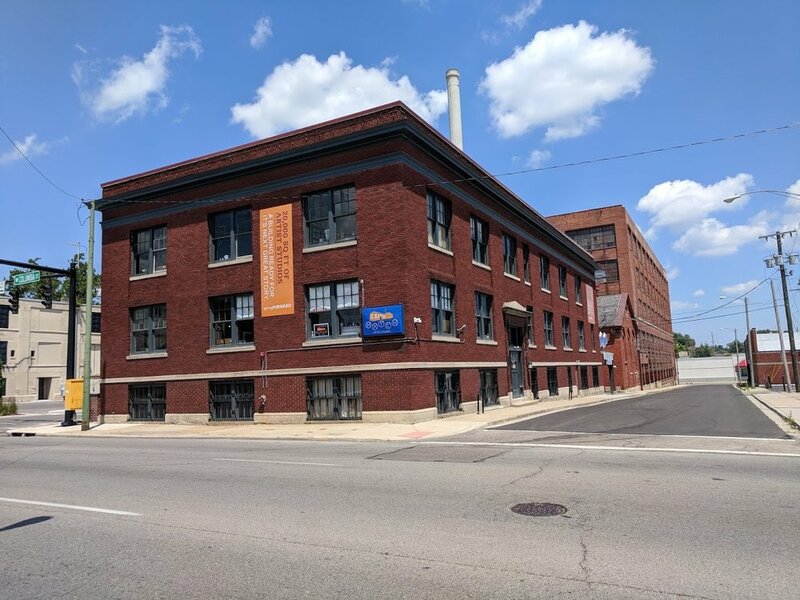 One of the larger successes the organization boasts is the redevelopment of 150 High Street, which was a 167,000 sqft building that is now home to a STARTEK call center, a diabetes center, a fresh food market, and an art studio. When fully operational, STARTEK will employ almost 700 people at its downtown location. This model of real estate acquisition and gap financing for urban core projects exists in other communities across Ohio as well. In Springfield, SpringForward was launched 2015 after the Springfield Foundation, Turner Foundation, Quinlan Trust, the Greater Springfield Chamber of Commerce, Springfield Regional Hospital, Speedway, the City of Springfield, and the Clark County Commission began meeting to decide what could be done to help revitalize downtown Springfield. Leaders in Springfield chose to model their effort closely after Hamilton’s CORE fund. Just like in Cincinnati and Hamilton, SpringForward provides financial support to revitalization efforts through low-interest loans, real estate acquisition and tax incentives. The organization is already midstream on a catalytic rehabilitation of a downtown building to create an artisan marketplace, shared kitchen, food hall, and event space for local businesses. This model for targeted downtown reinvestment has also found a home in Piqua, a smaller city of only 20,000. Through private sector donations from individuals and businesses, the iPiqua Fund has raised approximately $1 million to accelerate redevelopment through targeted real estate investments. Erie, Pennsylvania, a legacy city of 100,000 just 90 minutes east of Cleveland, recently created its own fund—the Erie Downtown Equity Fund. This $40 million fund has recently started deploying capital, including a $2.9 million purchase of a highly strategic block of buildings on Erie’s downtown Perry Square Park. Programs such as these in Cincinnati, Hamilton, Springfield, Piqua and Erie are poised to become more popular as cities realize the potential waiting to be unleashed in their downtowns. Through this targeted, catalytic real estate redevelopment, cities can jumpstart or continue redevelopment – all in service of creating a place for people to live, gather, and do business. In his recent post on Urbanophile.com titled “Bribing People to Move to Your City”, blogger Aaron M. Renn discusses the Hamilton, Ohio’s incentive program to attract talent to their city. Unfortunately, it seems Mr. Renn did not take the time to properly understand the full context of this policy and in doing so misses the tremendous amount of work Hamilton’s leaders have put towards revitalizing their urban core and renewing the community’s economic prospects. By Nick Livingston, GOPC High School Intern Pipeline H2O, a water-based startup technology program located in Hamilton, Ohio, has just announced its first class of companies that are working on water infrastructure challenges. Pipeline H2O’s main objective is to acknowledge and advance the work of water technology companies improve water services and seek innovative strategies for reusing water, upgrading infrastructure, treating wastewater, and monitoring water quality. This timely news coincides with GOPC recently beginning the Implementation Phase of its Water Financing Project, providing recommendations on strengthening the long-term sustainability of water infrastructure in Ohio. At the end of the selection process, Pipeline H2O chose eight startup companies to begin the program, including two companies from Ohio: kW river Hydroelctric from Hamilton, and Searen from Cincinnati. Companies that have been selected to participate in the Pipeline H2O program exhibit through their work many of the strategies that GOPC recommends in its recent report, Strengthening Ohio’s Water Infrastructure: Financing and Policy. For instance, WEL Enterprise’s system that treats and reclaims wastewater on one platform is a strong example of developing new technologies in order to save energy costs, which is a strategy GOPC recommends in its report. GOPC‘s report also emphasizes the importance of asset management, which is the process of cost-effectively upgrading and maintaining assets. The companies selected for the Pipeline H20 program are efficient in maintaining resources and saving money while upgrading water quality, demonstrating sound asset management techniques. For instance, the Aquatech startup Searen has created a Vacuum Airlift, which replaces legacy hardware and consolidates pieces of equipment. In addition, GOPC’s call for public-private partnership to make projects more flexible and timely can be seen through Pipeline H2O’s partnership with government agencies such as the United States Environmental Protection Agency, the City of Hamilton, and the City of Cincinnati. Pipeline H20’s assessment was handled by a committee composed of water experts, including Greater Cincinnati Water Works, the Metropolitan Sewer District of Greater Cincinnati, City of Hamilton Water, Confluence, Butler County Groundwater Consortium, U.S. EPA, Hamilton Mill, Cintrifuse, Village Capital, and Queen City Angels. New and innovative ideas concerning water development will be introduced throughout the region from the selected companies, and the Pipeline H2O program will be set in action from February 2017 through May 2017.